You start out with a totally real axed arm and palm. As you thrust forward with your rear foot, you twist your waist so that your shoulders turn quickly thrusting out your right or left palm. Just before impact you lightly close the fist and allow it to flick up at the end so that the last two knuckles are forced upward into the object being struck. 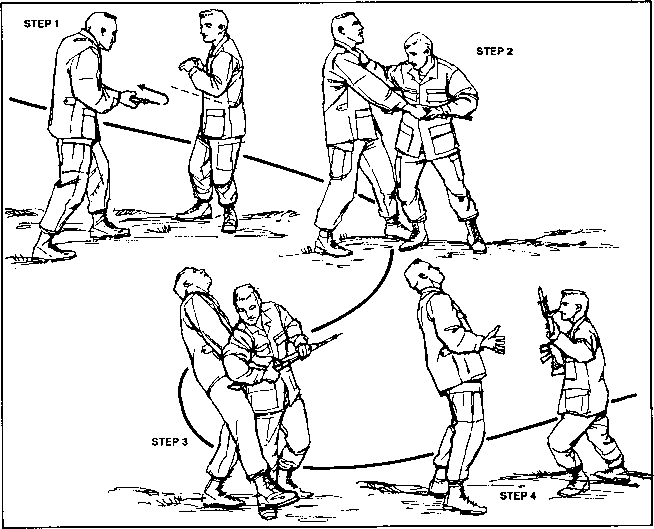 You can gain this whipping action by pulling your fist backward quicker than it was thrown out. See Photo No. 135 for starting position and Photo No. 136 for end position. If you punch into a heavy bag, a good way to test if you are doing this punch correctly is to hit the bag into the general area that a face would be, (hard bony area) and if you cause a large popping sound to happen upon impact without much, if any movement of the bag then you are doing it correctly. When punching to a face area and using the bag, there should not be much movement of the bag. We are looking for shock value and not pushing value. However, it is different when striking to the soft areas of the body. Now we must look for a movement of the bag when it is struck. We still do not allow too much follow through; we try to put a lot of energy into the bag to cause it to move away with the least amount of forward movement from the punch. Photo No. 137. One of the best training methods in boxing is the hard hand held mitt. This is perfect for practicing punching to the face. Now you must move the mitt when you punch as far as possible with the least amount of arm movement. Try to strike the mitt starting with your open fist only a few inches away. Don't try to push your fist out, try to move your body in a way that is likened to sneezing. This is what we call in T'ai chi a 'mah-jong' or explosive energy movement; the whole body must perform the action and not just one part. Always remember to keep up your guard. When you punch with your right fist, keep your left palm over the right side of your face. When you punch with your left fist, keep your right palm over the left side of your face. When you punch, push forward with the rear foot lifting the heel of that foot off the ground as seen in the last photo. Punch the hand held mitt five times with perfect timing and always bring the other palm back as a guard. Start out slowly at first, trying to judge exactly how to place your fist so that you gain the maximum amount of power. 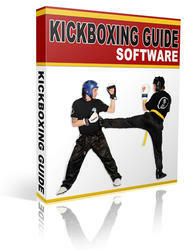 Then, you start to speed up the five punches so that you are able to perform the five punches in about one second. However, you must keep the timing of the five punches exactly the same so that the time between each punch is the same. Also, and most importantly, you must be sure that you aren't losing power in order to gain speed, make sure that the holder of the mitt feels each punch.